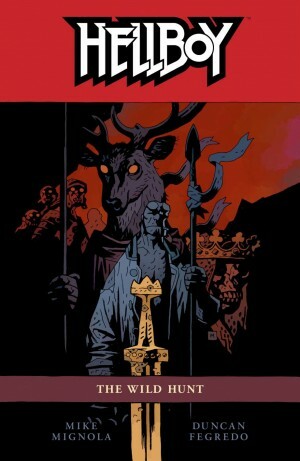 The Wild Hunt is the ninth volume of Mike Mignola’s Hellboy, and the beginning of the resolution to the ‘Beast of The Apocalypse’ storyline that has been the key subplot running throughout the course of this series. This volume begins, as it will end, with death. In fact pretty much everything in this story is about death – succumbing to it, escaping it, visiting it, delivering it. Why are giants of old beginning to rise from their graves across the English countryside? 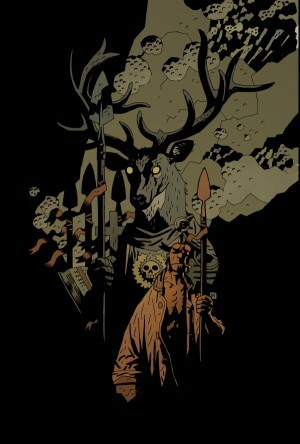 Hellboy rides out with the Wild Hunt to see them for himself. It is the first sign that events are beginning to move in one very scary direction as a “queen of blood” has risen to command all the world’s magical creatures. 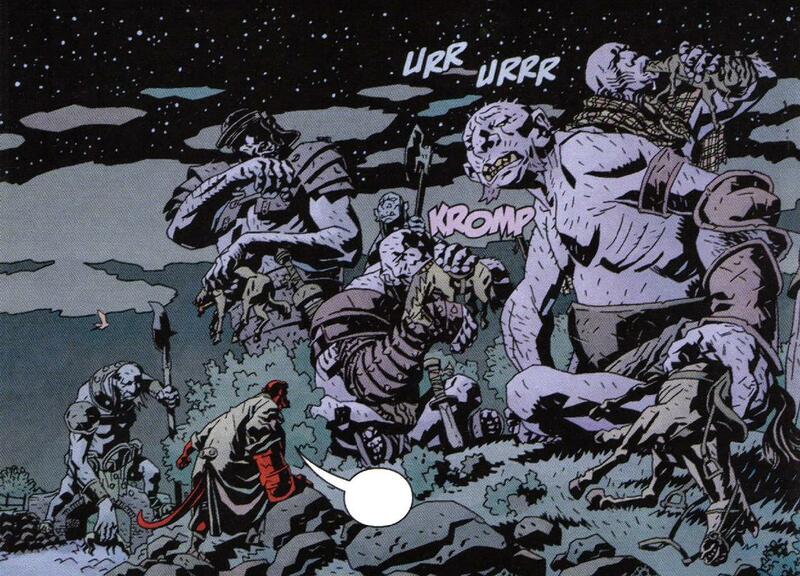 And unfortunately for Hellboy, most of those creatures already hate him. 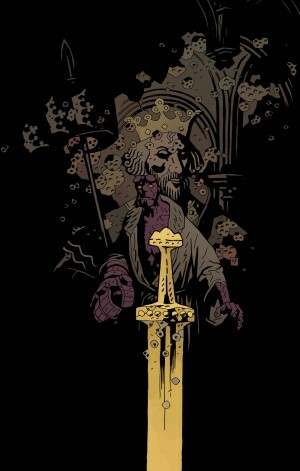 The sense of epic scale and detail that Duncan Fegredo’s art brought to the previous volume is put to good use here. Lots of bloodily fought, huge battles against armies of giants, trolls and demons are interspersed with plenty of the usual ruins, bleak desolation and dark, hidden places. 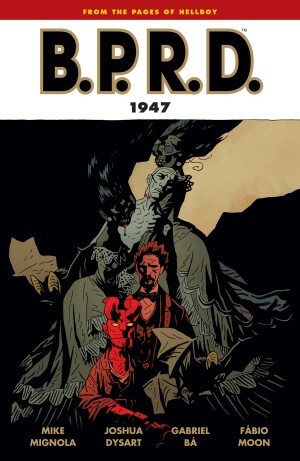 Mignola’s sense of composition is maintained and Fegredo overlays those minimal layout shapes with some gorgeously intricate linework that increases the amount of information on the page but doesn’t overload it, which is quite a trick. 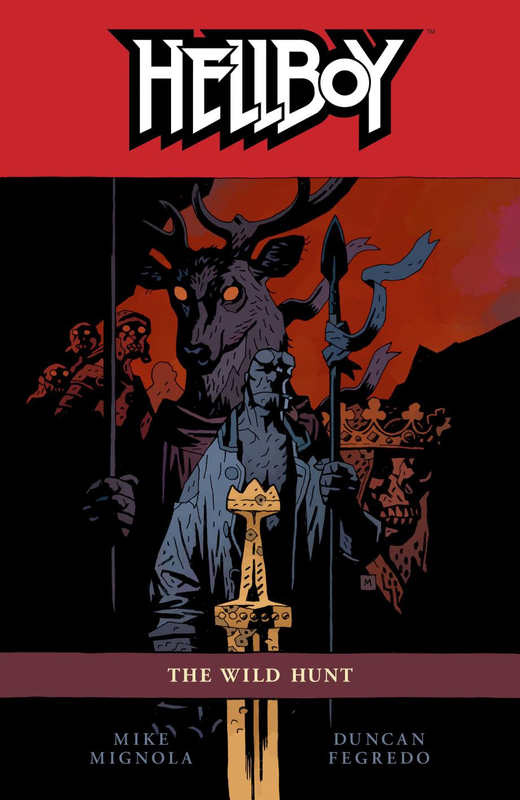 Dave Stewart’s colouring also has a lot to do with maintaining the unique feel of the book, and the colour choices continue to be thematic and emotional rather than conventionally pretty (but they are beautiful in their own right too). 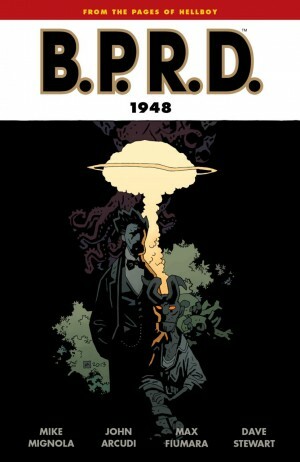 A major revelation about Hellboy’s past drives this volume to its end as it becomes very clear that nothing less than the end of the world is on the cards, unless he can stop it. Or maybe he’ll cause it? Which will it be? 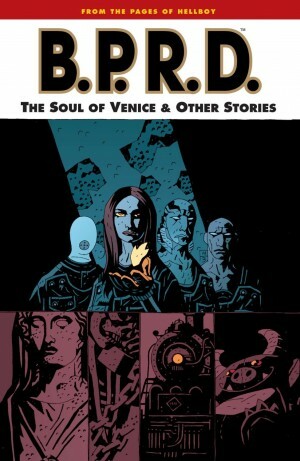 This volume has an introduction by Mark Chadbourn, plus the usual sketches with commentary from both Fegredo and Mignola. 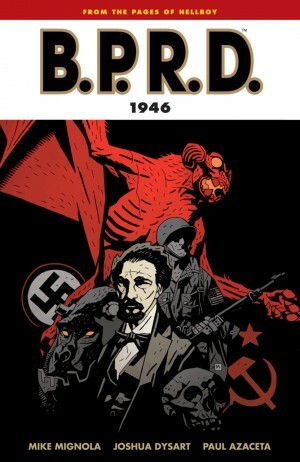 This and the previous volume eight, Hellboy: Darkness Calls is also reprinted at a much larger size in the archival hardcover Hellboy Library Edition: Volume Five. The next volume is The Storm and the Fury.